A lengthy outage on Amazon.com’s cloud storage service, apparently stemming from the East Coast, caused widespread disruptions in online services Tuesday. Amazon.com says it fixed a problem that triggered a lengthy outage on its cloud storage service, causing widespread frustration among popular online services Tuesday. The disruption, which stemmed from an East Coast location, hampered the operations of a wide array of Amazon clients, from media companies to makers of corporate communications software. Reactions to the outage spread rapidly on Twitter, with memes depicting scenes of chaos from “The Office” and houses on fire. The problem — and the ensuing outcry — show how important the cloud has become to the smooth functioning of the internet economy, as enterprises migrate their data and computing processes from their own premises to data centers operated by Amazon and other cloud giants. But it also shows how far-reaching glitches at these data centers — touted as highly reliable — can be. In Amazon’s case the cloud service may have been so robust that it lulled users into an exaggerated sense of security, and yielded a bigger shock upon failure. The incident’s reach was magnified by the popularity of Amazon Web Services (AWS), the e-commerce giant’s cloud computing unit, which is by far the largest cloud provider. Another compounding factor: The outage involved AWS’ oldest offering, the storage of data that powers many web applications and other, more complex AWS functions. The service, known as S3, is more than a decade old and has been regarded as historically “very reliable,” according to Jason Read, the founder of Cloud Harmony, a Gartner company that measures performance. Geography also played a part. The incident took place in a conglomeration of data centers that Amazon calls US-EAST-1. According to Lydia Leong, an analyst with Gartner, it’s the largest such cluster in Amazon’s cloud empire. “It’s a huge region,” Leong said, that’s also where new services and capabilities are frequently introduced, therefore attracting companies looking for cutting-edge tools. 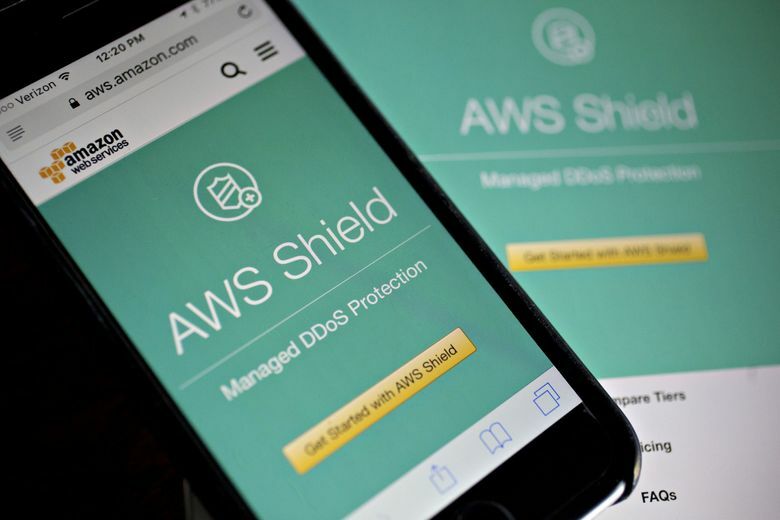 Nevertheless, the incident is unlikely to slow cloud adoption or undermine AWS’ competitive standing vis-à-vis rivals, experts say. “Every time there’s a major cloud outage you occasionally get customers who thought that everything would be magical and forever working. And then they’re disabused of that notion and everybody gets on with their lives,” Leong said. The troubles arose Tuesday morning around 9:30 a.m. Seattle time. Amazon quickly said it had spotted the “root cause” of the problem, which brought down various AWS functions, including the dashboard that depicts the status of AWS services. By 1:49 p.m. the normal course of operations had been restored to the service. The company hasn’t yet divulged its theory as to what caused the outage, but experts expect a detailed post-mortem. Bartoletti, the Forrester analyst, says it looks like a software-configuration problem, not a hardware failure. “These don’t happen very often” at AWS, he said.